In speaking with riders on bus lines around the world, we are always impressed with the thoughtful responses they give when asked about ways to improve public transport. We try our best to ask these questions during periods of stress on the system, like inclement weather conditions or maintenance failure that slows the system to a crawl. Despite the occasional angry rant, most transit riders are a pretty tolerant lot. But they do have expectations. Here are four public transit issues that riders want resolved. When looking at ways to improve public transport, first and foremost, riders want frequency. Interestingly, speed isn’t as much of an issue. If they are waiting downtown in the rain, or on some suburban backstreet, riders want to know that a bus will arrive soon, preferably in less than 15 minutes. Therefore, the wait becomes part of the transportation cycle. Even if the bus is lightning fast, in the mind of the rider, the trip begins right when they arrive at the curb and start waiting for the bus to pick them up. A big part of how to improve transportation efficiency is improving transit ticketing systems. Ticketing systems have to be quick and practical to allow for prompt loading and unloading of passengers. “Tap and go” is the new mantra for bus fares. Not: tap…wait.... and go. There is a distinct difference that might only be a couple of seconds in duration, but quite noticeable when there is a crush of people clambering from behind to get onboard. Inefficient ticketing systems also slow down bus frequency, as drivers need to wait for everyone to tap before they can drive away to the next stop. Riders want comfortable buses that can seat as many people as possible. Face-to-face seating is not appealing and being knee-to-knee in a confined space creates awkward moments between strangers. However, comfort also extends beyond the buses’ seating arrangements. A smooth riding, quiet bus plays a significant role in reducing the overall stress of a public transit experience. Among the consistent feedback from riders of fuel cell electric buses is a surprised delight about how quiet the buses are when in motion. Exhaust spewing buses are an ongoing concern. One of the significant factors that commuters consider when deciding to take public transit is the environmental impact of their alternative transportation method. And although a diesel bus packed with 40 people may be less environmentally damaging than 40 separate diesel cars, it will still has negative impacts on both local air quality and the overall climate situation. When given the choice, we’ve found nearly all riders prefer zero-emission buses to conventional diesel buses. That’s not a surprise! At Ballard, we are always thinking of ways to improve public transportation by developing new clean fuel technologies. Fuel cell electric buses resolve some of the above issues for both transit bus operators, and the public they serve. Furthermore, fuel cell bus performance is continually being proven and improved over millions of miles of operation in environments ranging from mountain villages to desert communities to busy cities. The first step to creating better public transit networks is becoming aware of the available options. Many communities are taking measures to improve public transport by implementing innovative sustainable transport solutions that have profound impacts on the livability of their communities. 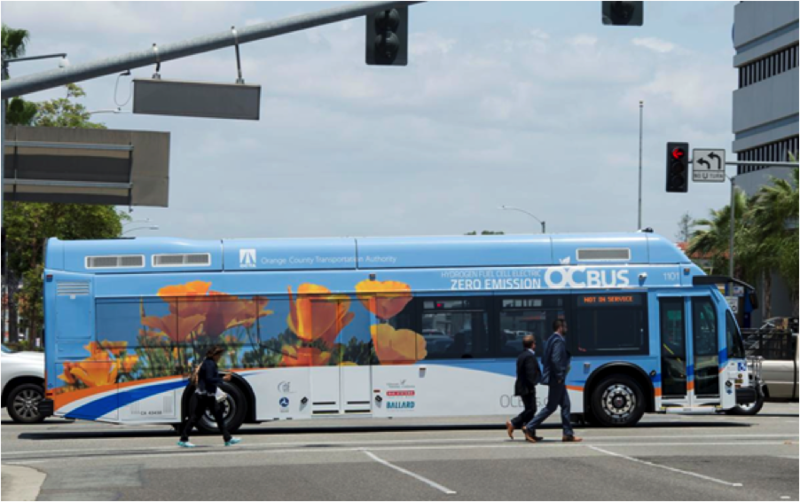 To learn more about fuel cell electric buses, and why they are the best solution for zero-emission public transit, download our presentation below. Discover why fuel cell electric buses are the most viable, flexible, and performance-ready zero-emission bus solution.